As people are at the heart of everything we do, our Employment Academy is unique and tailored to users’ needs, enabling us to work with job seekers to help them move towards employment. Any local person who is unemployed and wants help in getting into work can join the Employment Academy. 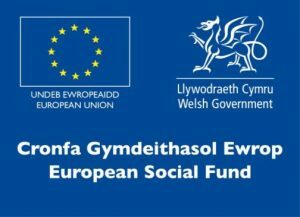 The Employment Academy has received funding from The Big Lottery Fund, the European Social Fund (ESF) and the Wales Council for Voluntary Action (WCVA). 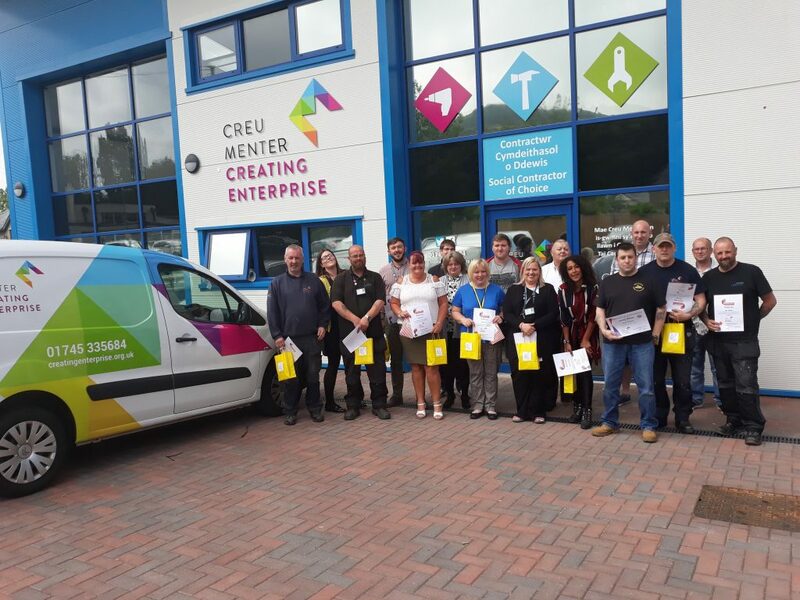 Cartrefi Conwy tenants can find volunteering opportunities through Creating Enterprise.  You can volunteer in a number of different types of work, based on the services that Cartrefi Conwy and Creating Enterprise provide. We’ll arrange an informal chat, which can be over the phone or in person (we’ll come out to meet you). During this part of the process we’ll discuss the sort of volunteer opportunities that would work best for you. After that, we’ll arrange a trial placement so that you can have an opportunity to decide whether or not that type of work is for you. And finally, if everyone’s happy, we’ll agree hours to suit you and you’ll be ready to get started. We run a rewards programme to thank-you for the time that you’ve invested in volunteering. There are three levels of reward, based on the number of hours you have volunteered. These are bronze, silver and gold. After reaching each level you’ll receive a certificate, and you’ll be able to choose from a range of rewards. What’s more, we hold an annual event to say thank-you to all the volunteers that have helped us throughout the year. Our annual volunteer celebration event. Volunteers and their work buddies at the 2018 ‘Thanks a Brunch’ event. If you’ve been out of work for a while and feel ready to take the step into employment, our Employment Academy is a great way to work for pay with the support of a mentor, who can help you overcome any issues you’ve experienced in getting a job and staying employed. We’ll provide on-the-job training and you’ll get formal qualification which you can add to your CV along with up-to-date details of your work experience. And by doing work placements with other organisations you’ll really improve your CV, showing future potential employers what a great asset to their business you’d be. One big benefit of joining our Employment Academy is that you’ll have access to vacancies that haven’t been advertised anywhere else – giving you a much better chance of getting a great job. Our trainees have an excellent chance of getting a job – our success rate is very high. And because we only work with a small number of tenants at a time, you’ll get the best possible support. Paid jobs are offered on a fixed term contract which lasts for up to 18 months, depending on the type of work you’re doing. You’ll be provided with plenty of support by your mentor, who’ll help you get a permanent job with a different organisation at the end of your fixed term contract. Complete the online application form. To view current paid employment vacancies for Cartrefi Conwy tenants and download an application form click here. If you’re unemployed, our Job Search Support services can help you to get back into work. We can provide help and advice including writing a CV that gets results, help with filling out application forms, free and accredited employability skills training, and training via our Get Ready for Employment programme. We have excellent links with other employers in the area, and we work closely with them and support organisations to make sure you receive the right training and employment opportunities. And, once you’ve succeeded in getting a job, we can provide you with additional support for the first month. What’s more, visiting our Jobs Café gives you the chance to meet new people, exchange skills, share your experiences and find new opportunities. The Jobs Café is open from Monday 1pm – 3pm and Friday 9am until 12noon. Tea/coffee and cakes provided! Every week our Jobs Bus goes out to help us reach those job seekers who can’t come to us in Mochdre. On the Jobs Bus you’ll find adverts for local jobs, and trained staff to help you apply for them. Our team will help you to perform job searches, write your CV and complete online applications, and we’ll tell you about the volunteering and training opportunities available not only in Creating Enterprise but throughout the county. Wifi and laptops are available for job seekers’ on the bus, but if you prefer you can bring your own device. 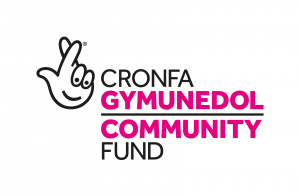 Every week we’re joined by other organisations, including Careers Wales, Communities for Work, Opus, The Prince’s Trust, Universal Credit advisors, Remploy, Adtrac, Veteran’s Hub and Cais. So far the bus has been to Penmaenmawr, Llanfairfechan, Llanrwst, Llandudno, Abergele and Kinmel Bay. To find out where the bus is going to be on any given week, follow our social media accounts. We can also send you flyers if you are connected to a community group, which include all forthcoming dates and locations. Our weekly digital sessions are held from 10am until 12 noon on Thursdays – or if you prefer, you can book a one-to-one session. Use your own mobile phone or tablet – bring them in and we’ll show you how. Our daily drop-in sessions are designed to help you find work, volunteering opportunities or training. You can use our computer suite, with support, to look for work, write your CV, register for Universal Credit or even undertake basic digital skills training. Our award-winning team offers all kinds of practical job hunting help, which will boost your confidence and self-esteem. With our help, getting a job might be easier than you think! If you’ve recently lost or left your job, we can support you to find a new job and get back into work as soon as possible. Whether you’re unemployed or already in work but looking for a better job, we can help. To see how we’ve helped other people, click here.